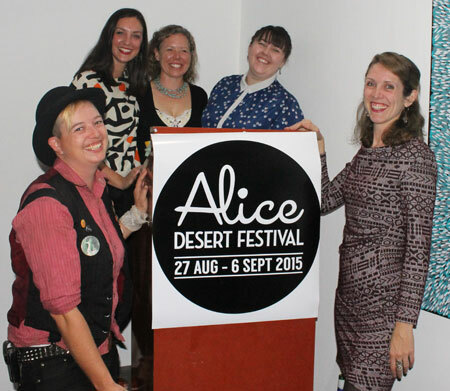 I want to go to almost everything and I don’t always say that: Alice Desert Festival (staff pictured left) seems to have struck the right note in its programming this year, a good balance between creativity with deep roots in the community and some stimulating imports, catering for a wide range of tastes and interests. There is original theatre, dance, comedy, story-telling, art, all from local creators, while the imported events have been chosen with local relevance in mind. Given strong local Aboriginal presence and broad interest in Aboriginal experience and culture, we thus get Aboriginal music legends from the national stage: Kutcha Edwards Trio is part of the Music in Churches series; Bunna Lawrie & Coloured Stone play in a free in concert, following the festival opening parade. In theatre, Team of Life honours both Aussie Rules and football, which should go down a treat in this sports-mad town. The piece has been developed out of workshops with Indigenous and refugee youth by Melbourne-based dance theatre company, KAGE. 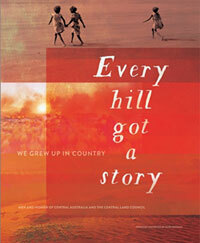 Locally, the festival has partnered with the Central Land Council to launch their book, five years in the making, titled Every Hill Got a Story. It includes many not previously published photographs and stories, in their own words and languages, from 127 storytellers across The Centre. Some of them will yarn on the day at the Telegraph Station, where there’ll also be roo stew and wattle seed damper from Kungkas Can Cook, and book-signing. Given the rising numbers of immigrants from the Indian sub-continent in town, we get a performance, Oz India, in which classical Indian traditions in music and dance (Shamani Nair, left) respond to contemporary Australia. This is again part of the Music in Churches series, and is combined with a performance by three musicians of multi-cultural background drawing on their experience of remote central Australia and their research in world music. Comedy is always a big draw card at the festival. The Dirty Brothers deliver their deranged brand one night; a showcase of local talent follows the next. Hip hop enjoys a strong local following, in practice and audience. They’ll no doubt flock to Cypher, a live performance (right) of style, rivalry and community with an original soundtrack. This will be followed on the night by a Block Party featuring local rhymers, rappers, and a dance floor. Youth dance will get another outing with Unbroken Land, presented by Incite Arts and Red Hot Arts, featuring SPRUNG, the Southern Ngalia dancers as well as the ‘stArts with D’ Performance Ensemble. In the visual arts, photographer Mike Gillam presents Maximo of Mparntwe, a narrative woven from his incomparable photographs of local urban wildlife. It tells the story of an aviary escapee, Maximo, trying to find his place in the outside world. Gillam has designed the exhibition with children particularly in mind. Following last year’s Papunya Smiles, photographer Tamara Burlando builds further on her experience of life in the community with an exhibition of portraits of women artists, What We Have Always Been, combining photography with interventions that speak to aspects of the women’s contact history. Taking further their incubator program for fostering local creative development, Red Hot Arts presents a one-man show by Ludovic Dumas (left) as well as a theatrical piece KaBooM! 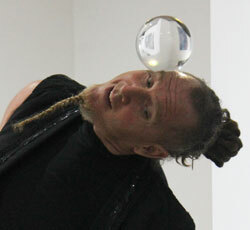 Festival audiences will be familiar with Dumas as a juggler and leader of the Ninja Circus (they’ll be back too). It will be interesting to see what he does with this extended performance of magic skills mixed with comedy. KaBoom! intrigues not only by its secret location but by its ambitious scope, telling ‘Stories from Distant Frontlines’. About the performers we know only that they are local. A mystery to be revealed. 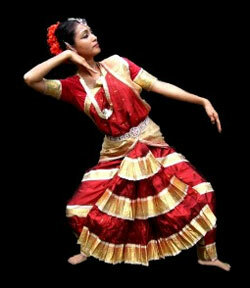 The festival kicks off on Thursday 27 August and runs till Sunday 6 September. For full details go to the festival website or keep your eye out for the printed program around town. Festival staff in the photo at top are, from left, Annie Pfeiffer, Adele Moreira, Mary-Jane Reynolds, Danielle deBrenni and Laura Martinez-Oliveras.